I'm working on this swap and I need to do brake lines. I don't have any 185 lines ( I know they may be short). The 205 lines I have won 't work. My question - Does any one know if the goodridge 185 SS lines are slightly longer than stock or if there are other lines that are longer (maybe another Toyota model). 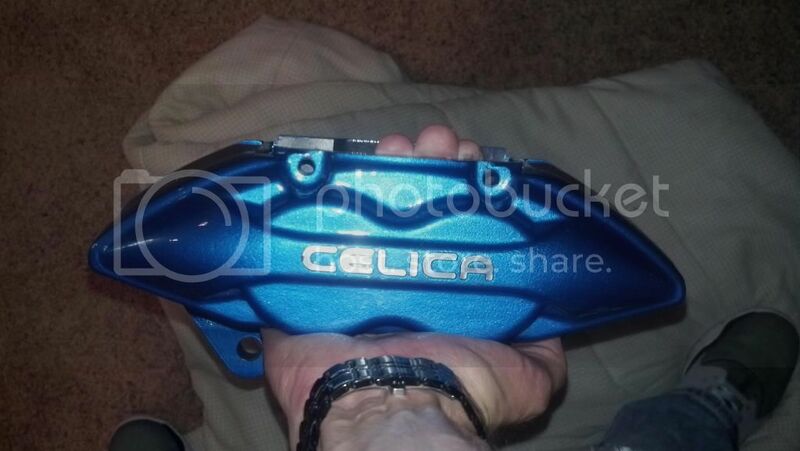 IMO its the offset of the caliper to disc with respect to the ball joint that is the main issue. 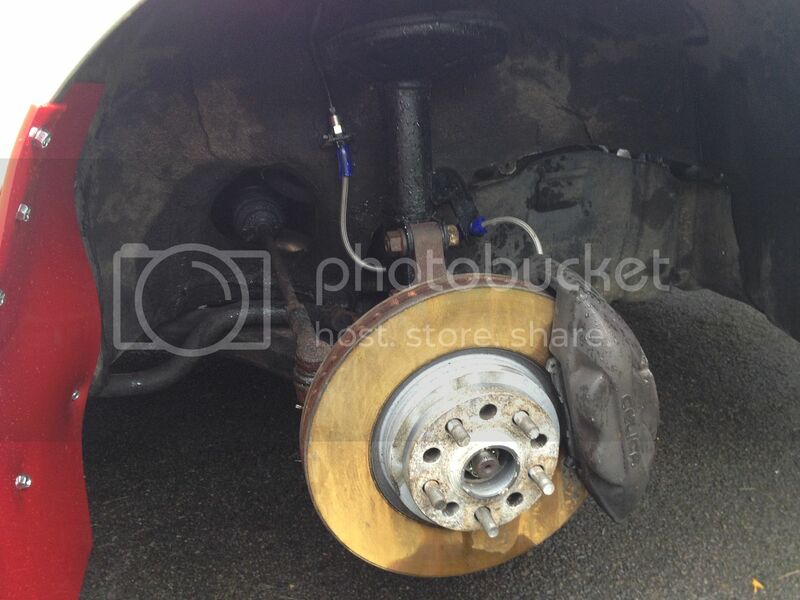 Having gone through the ST205 caliper option, it just isn't as easy as swapping over due to the superstrut design. 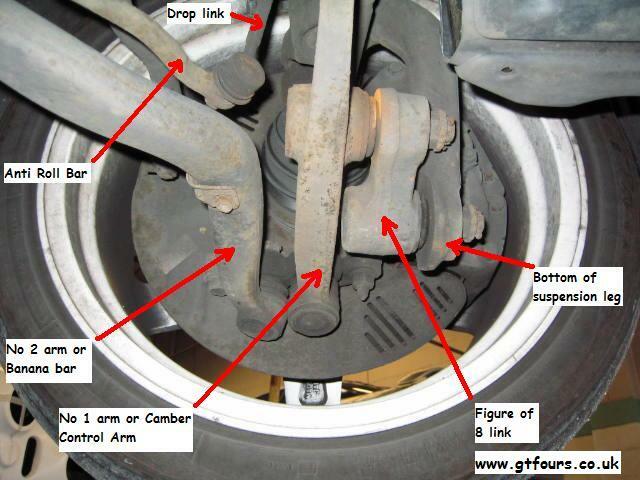 Looking at Kris'/gt4dc photo of the superstrut, the location of carious components means the disc has increased offset, therefore the caliper is also has increased offset compared to macpherson strut. At the end of the day, you need to decrease the offset of the disc by using spacers and then match the caliper to mount properly based on where you have offset the disc. On MacPherson strut, the disc has to be offset to clear the ball joint. In the end, I just gave up, got wrx STI discs, got a hubcentric ring made up, got some wilwood superlites with a bracket, got new lines made up and it was done. I get clearance of the ball joint as STI disc is lower offset. I don't have to modify a consumable aka the disc, to fit the st205 caliper when mounted on the front of the hub. I don't have to get a spacer and longer studs to space st205 discs out. I'm looking for info on brake lines only. 97 Sienna - Looks like 20 inches, has the same tab as above but hose seems to be long enough to work. Anybody know who makes braided lines for a Sienna? May go back and pull the other Sienna line to I can hook up brakes for now. You can order longer lines from revolution. You can also make your own lines. Earls makes ends that fit standard AN sizes. You can order braided lines in the length you need then use the proper AN adapters to the brake line and hard lines. I used a set of their ends to run directly to the caliper instead of a banjo bolt for my 205 rears, and I had to get an adapter for my wilwood brake lines to fit the hard line for my front brakes. I've figured it out ! Took three years, but I got it tonight. No bs, practically all bolt on! THATS THE ISSUE I HAD WAS GETTING THOSE TYPE ROTORS EASILY OVER HERE. bolting the stock 205 caliper straight to the stock 185 hub is incredibly dangerous. If you can't take some proper measurements and figure it out yourself then you shouldn't be doing it. You must use an adapter to go from the hub to the caliper. 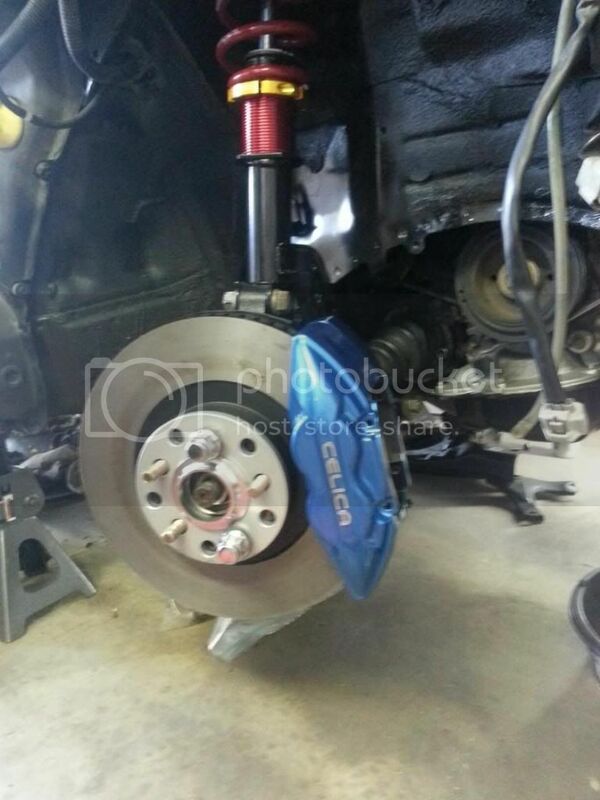 205 calipers on a 205 hub is 100% safe. 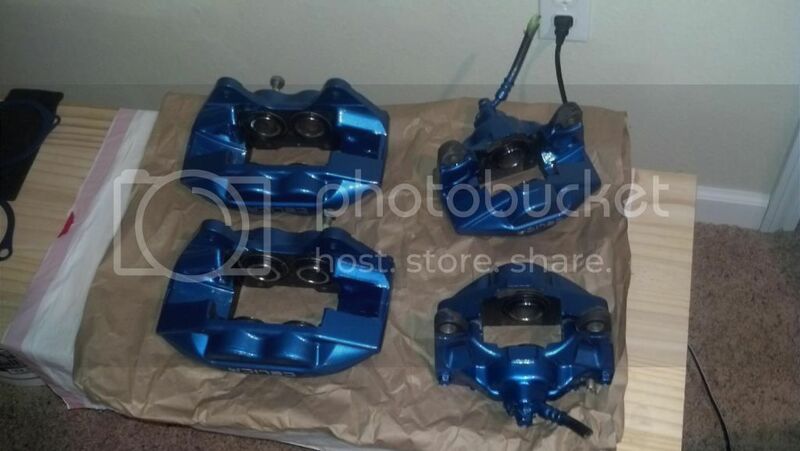 205 calipers on a 185 hub is dangerous. Put one of each caliper on a flat surface side by side and you'll see why... And that's only one of about 10 reasons why its unsafe. I finished designing and made a full kit to bolt the 205 calipers onto the 185 safely with an off the shelf rotor a while ago but ran out of money so I couldn't offer them to members here. Also with the price of other BBK's coming down I didn't see it to really be worth while for anyone to pursue this modification. You get what you pay for and when it comes to stopping my car, I refuse to go cheap.